I did manage to finish my March UFO. It is a quilt that will be gifted so I can't show the whole quilt. My goal was to get this quilt quilted. I not only got it quilted but I also got it bound! Now I am just waiting for the baby to arrive so I can put a label on it! Here is the quilting as seen from the back. Please disregard the fuzzies all over the back. As I was quilting it the batting left a lot of fuzzies on the navy backing! 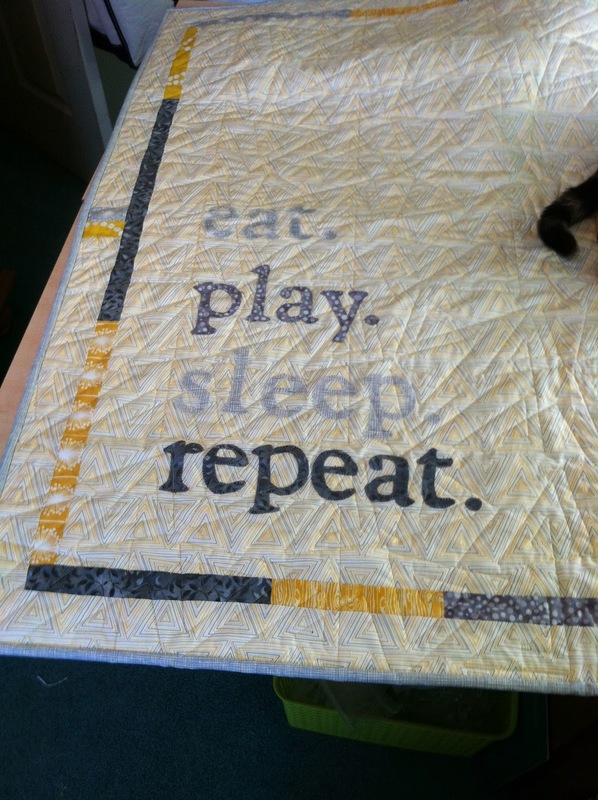 I am very happy with how the quilting came out. 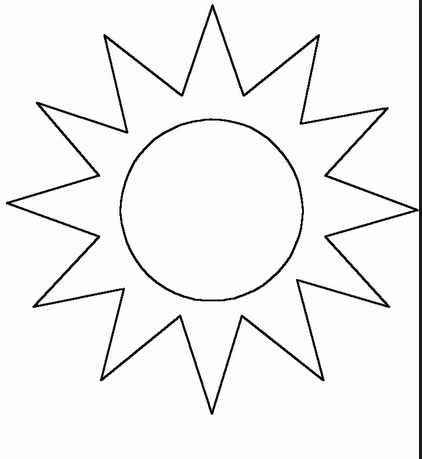 The front is a gold color. I had a dilema about how to bind it. I wanted navy on the front but not the back. I wanted gold on the back but not the front. 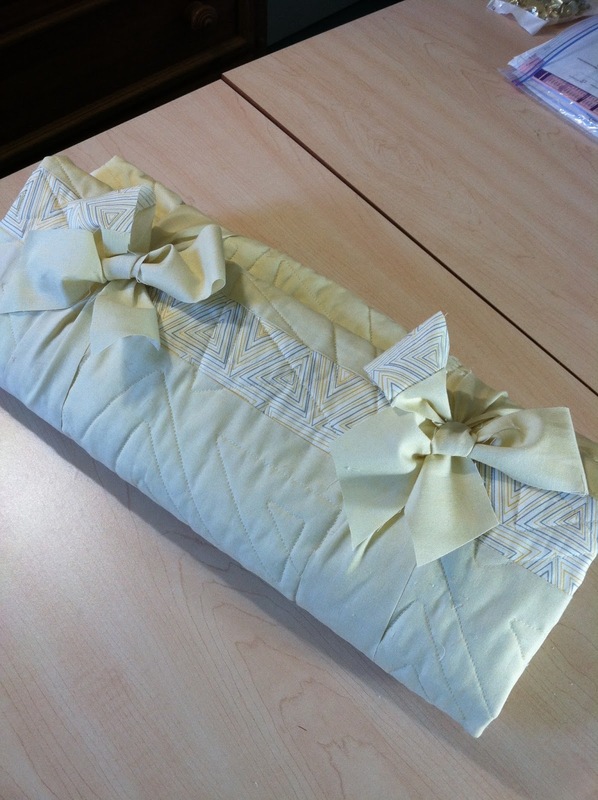 Our friend, Connie, had shown us how to make a two sided binding. My friend Pauline has a tutorial on her blog that you can find it here. I will probably be writing one too so I can have it here on my blog as well. I thought it was cool, but never thought I would ever do it. Until this quilt came along! I made a two sided binding and I LOVE how it worked on this quilt. You can see the navy on the front and the gold on the back. Anyone else want to know how to do this? I will share a tutorial on how to do this soon! I am linking up to A Year of Lovely Finishes 2014 since I met my goal!! My nephew and his wife had their baby yesterday. They named her Julieann Elizabeth. I went over to visit the mom and baby this morning and everyone is doing well! 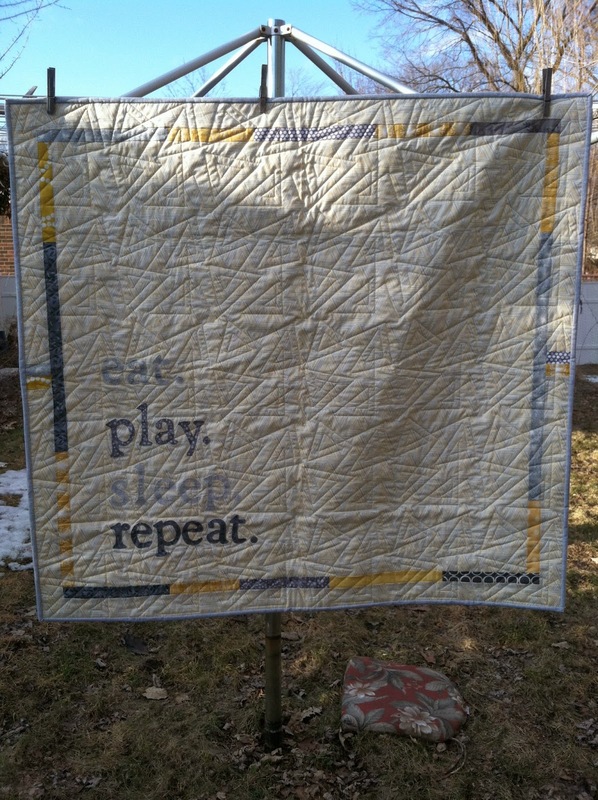 I can now finally show you Julieann's quilt! They did not want to know the gender ahead of time so I had to go with generic colors. I have to say I just love how this came out. 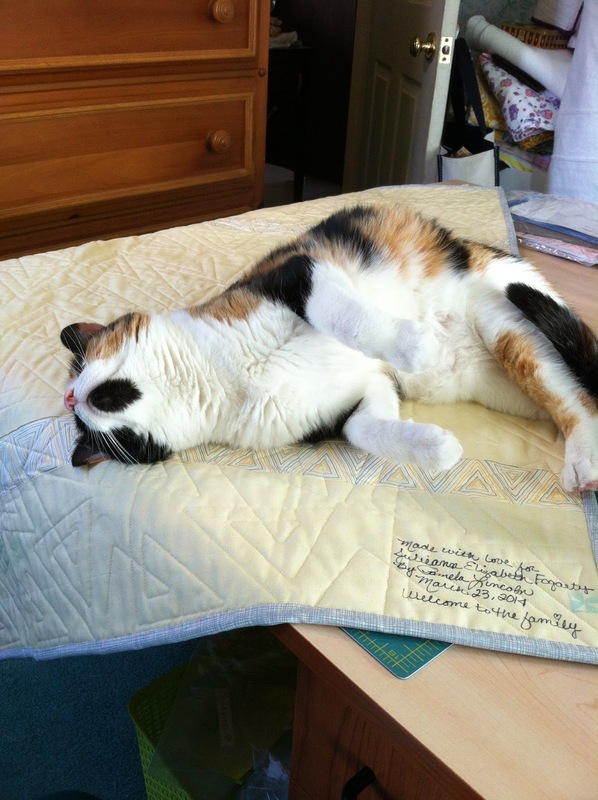 Of course I had my quilting helper, Autumn. I LOVE the triangle fabric and was so happy to have found the triangle quilting pattern too. Probably my favorite photo from the shoot! Welcome to the family Julieann Elizabeth! Since joining Instagram I have met some new folks. Interestingly enough some of them live in MI and not too far away either. She found out recently that her boyfirend's aunt has breast cancer. was at a loss as to how she could help and let her know how much she is loved. 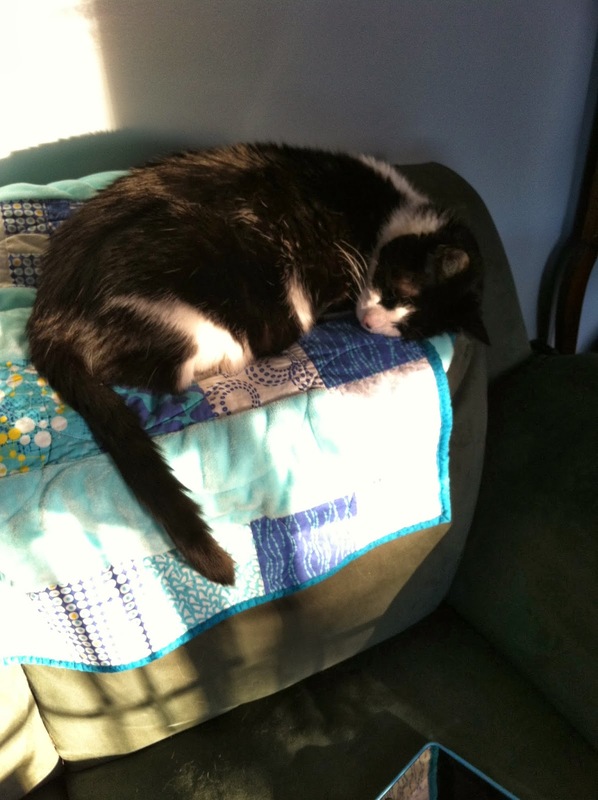 Abby is a quilter, and so of course making a quilt was what popped into her head first. 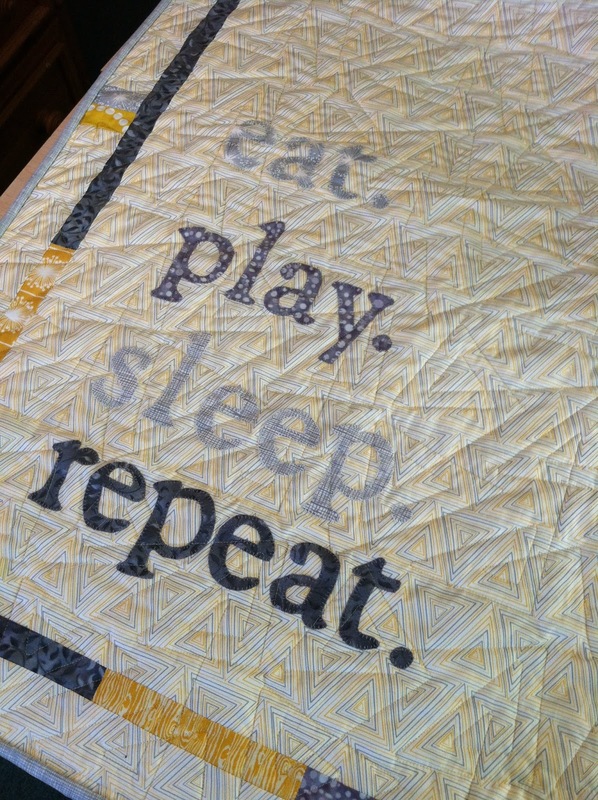 It's so difficult to find the time to make an entire quilt especially by yourself, on a deadline! So she did what most of us would do, give a shout out for help! I know how this feels as I did this exact same thing last year so I volunteered to help. She was asking for 9 patch and Ohio star blocks. I made 9 of the nine patch blocks and have 2 of the 4 (that I cut out) Ohio stars finished. My goal is to finish the other 2 tonight and mail them out no later than Monday. I used mostly from my scraps which feels good too! Sorry for the bad pics but it was night and I was too tired to get a real camera! 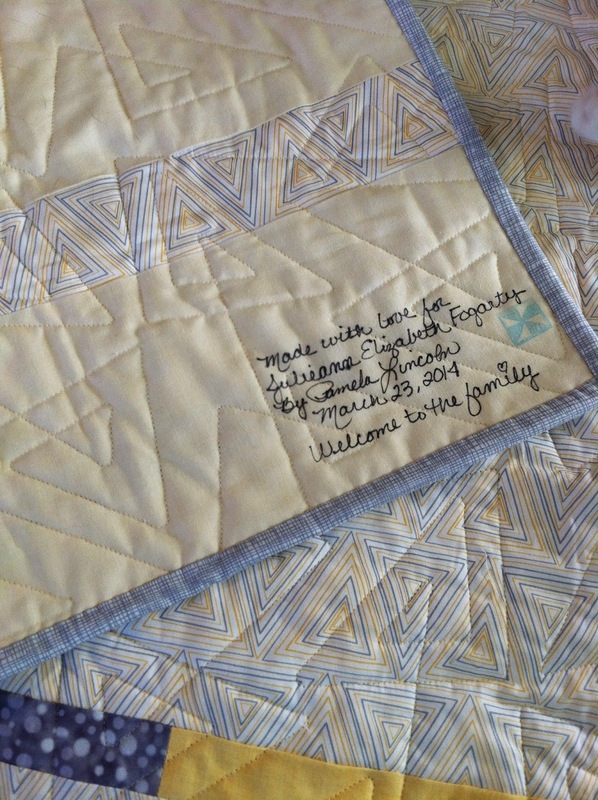 of my friend that had cancer's quilt! More DS Quilts and does that pink remind anyone else of jacks?? 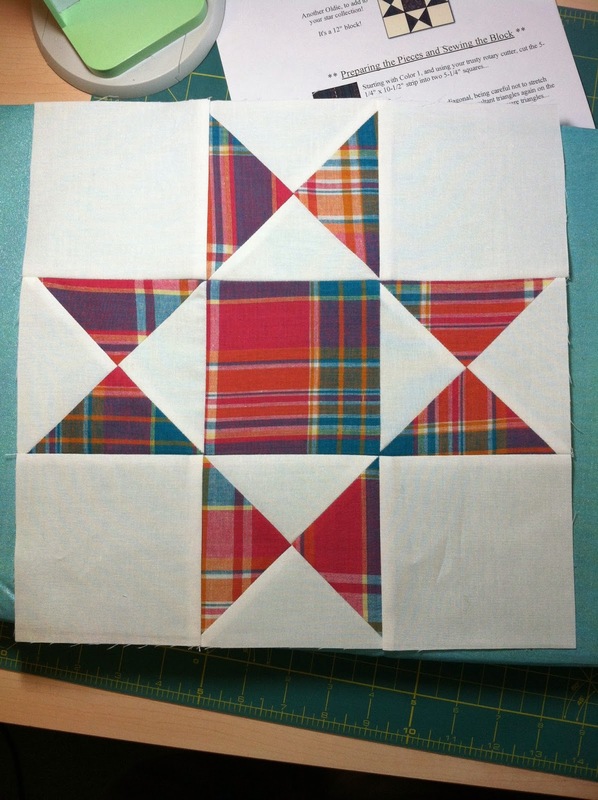 Alright, Abby, I will work on the other two star blocks tonight! I hope everything goes well for your BF's auntie. All my good thoughts and well wishes went into these blocks as I was making them. Just figured out how to make a new Header. I didn't have much time to sew but I got a couple of cats done from the Catventalong. I love making these little guys!! I need some more solids in the yellow/green families to make more though. I finished up the wedding quilt top and back today. The back is awesome and it took forever. This quilt is a beast at 88 x 100 inches. I am considering how to have it quilted or how to quilt it myself. I got some happy mail this weekend too. That #thegreatfabricdestash on Instagram has been good and bad! I had some great helpers sitting on either side of me while typing. And on my right, Hallie. She was so cute with her arm wrapped around my new book 318 Patchwork Patterns. Pricey but well worth it!! So you can see there is some creating going on here after all. Sad but true, I have not been doing much sewing lately. 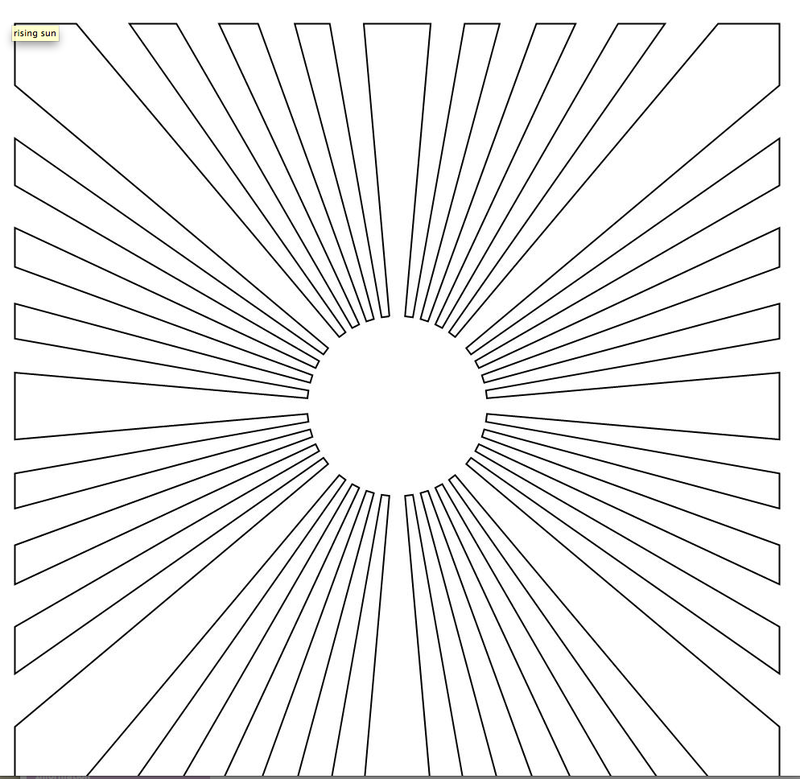 I am almost finished with a top that I am considering submitting to a magazine. So that means no photos yet. I did finish a baby quilt but have not had time to get photos taken of that either! It's actually bound and everything! What I have been doing is spending time with my dad and my family more. I see him almost every day. I feel like I am in a funk right now too. We just lost a really great guy that has been a friend of our family's since I can remember. He was slightly older than me and my dad just adored him. Our dad's were good friends and so that's how I knew him. My dad used to go to all of his sporting events while he was in high school then followed him while he played at Grand Valley State. His twin boys also played football at GVSU and my dad never missed a game. that he passed away from kidney cancer yesterday. my dad is really sad about that too. I can't even Skype or Facetime with him as he can no longer speak. I'm not sure my dad can make the 5 hour round trip to go to the funeral so I am not sure what to do about either of these things. I am hoping that life cheers up a little bit soon. Sorry to be so melancholy but sometimes that's the way life goes right? 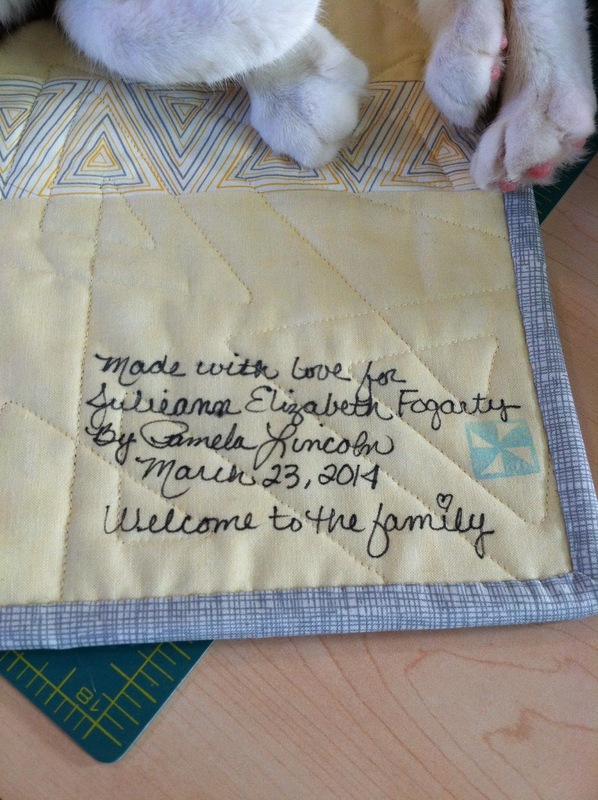 I am hoping to get some photos of that baby quilt soon, it's adorable. The second one is at the quilter's but I have decided to try something different on it. 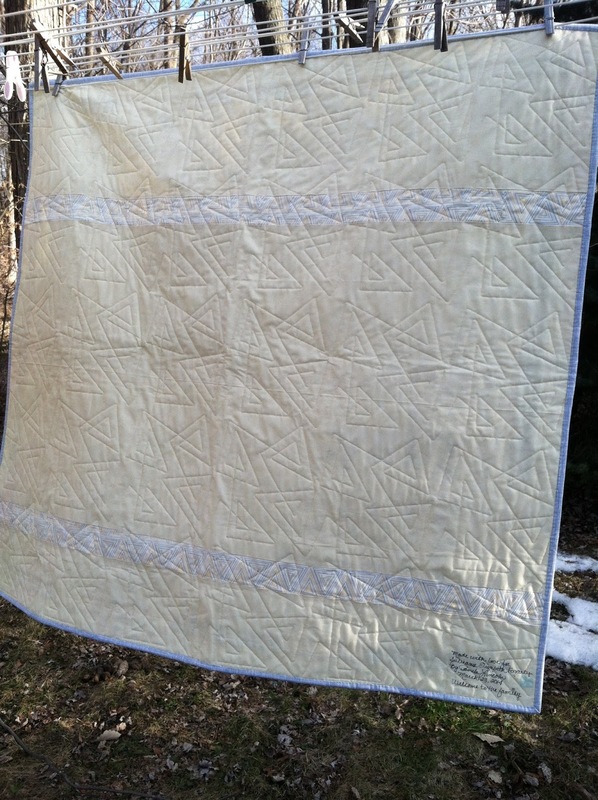 Then having my long armer baste it and making rays go out from the spikes across the rest of the quilt. This block pattern gave me the idea. I guess there is a little creativity going on over here, it's just low key at the moment! 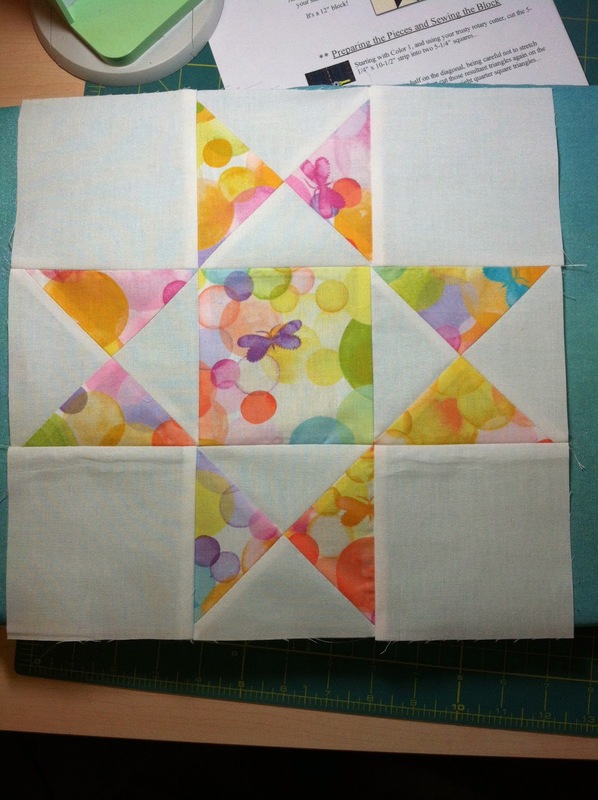 For my lovely finish for the month of March I would like to get this second baby quilt quilted. I will link up and hope for the best!